Gourds and pumpkins are a fall decor staple, so I'm always looking for new ways to use them when decorating and entertaining. Then a light bulb hit me—or rather, a candle did. They would make unique, festive candle holders, especially with their bright fall colors. And when stacked, they create elegant shapes that feel equally at home on a well-appointed dinner table or a fireplace mantel. Of course, fairy godmothers might turn pumpkins into carriages, but they are just as beautiful— and functional—in this autumn-themed transformation. Choose taper candles that don't actually taper at the wick. 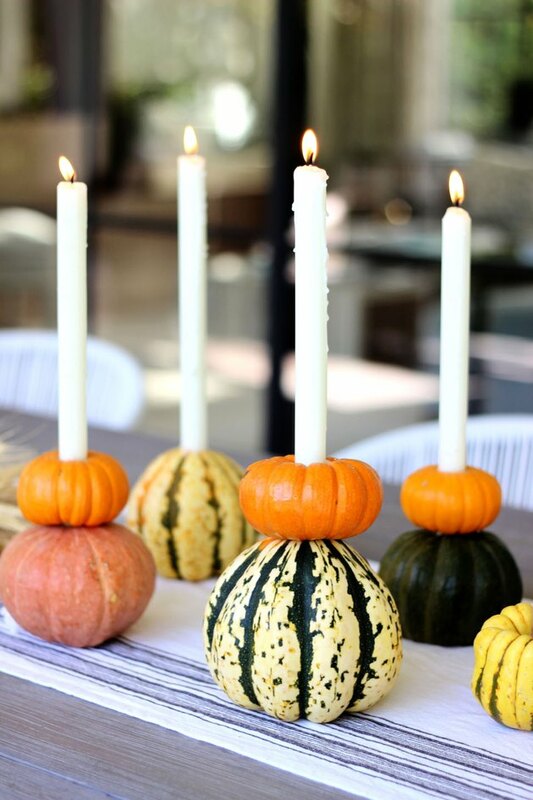 Candles that are the same diameter at the top and bottom are preferable as they will fit more snugly in the pumpkins and gourds. Interestingly, they're still called taper candles, even without the taper. 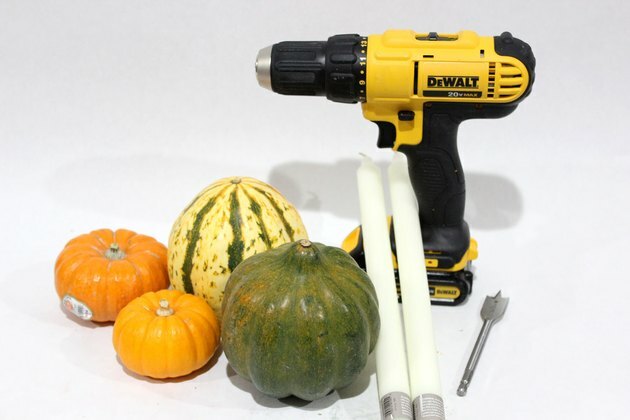 Measure the diameter of your taper candles and select a drill bit that is the same size. 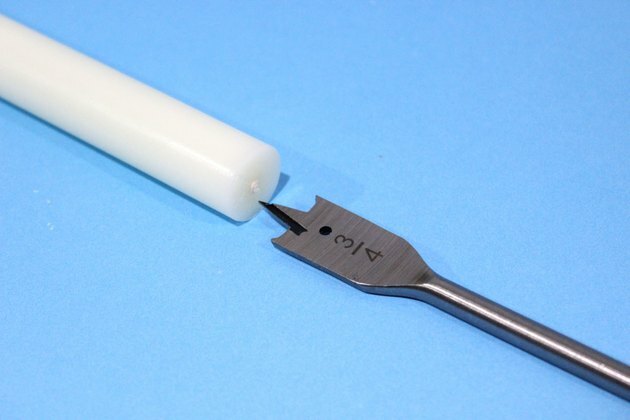 Most taper candles have a 3/4-inch diameter at the base, but some are one inch in diameter. Even though we typically think of gourds as the inedible, rock-hard fruits used solely for decoration, the family of gourds actually includes pumpkins and squash. Therefore, I'll use the term "gourds" to encompass all of them. 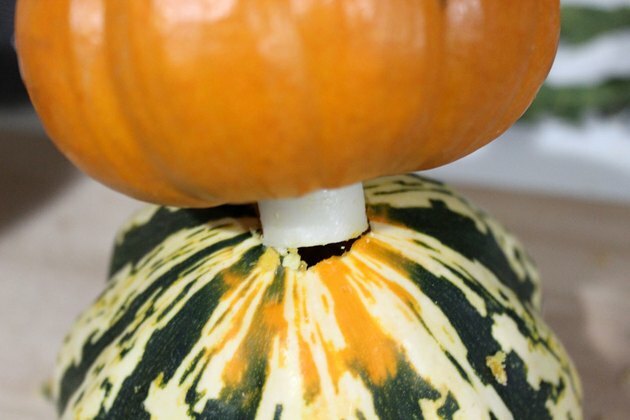 When selecting gourds, choose ones that will sit upright without wobbling. 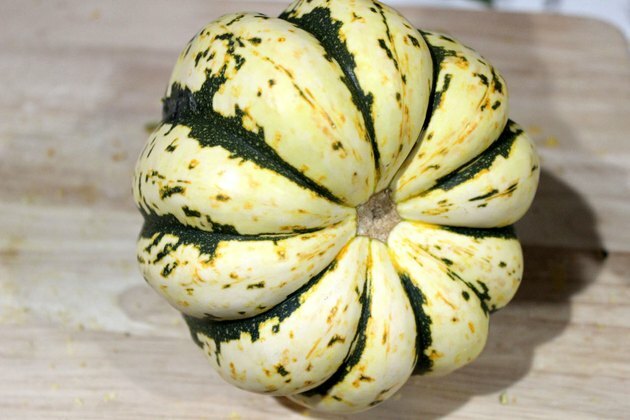 Also, look for gourds that do not have protruding stems. At least the top or bottom needs to be flat. Although your candle holder can consist of only one gourd, I'll go over how to make a stacked double-gourd version. The gourd at the base should be the larger of the two. 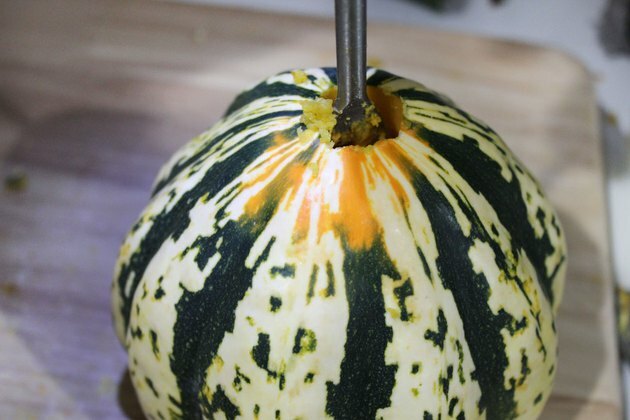 Holding it steady, drill a hole at the top of the gourd using the large drill bit. Once the drill penetrates the top, you don't need to go deeper than an inch or two. And watch your fingers—the drill bit is sharp. 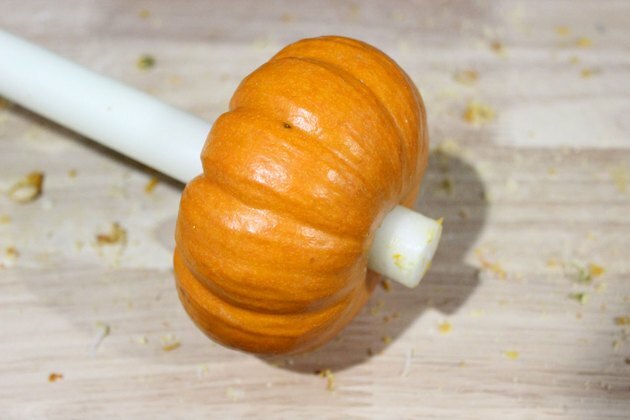 Mini pumpkins work well as the second gourd that sits on top of the first. 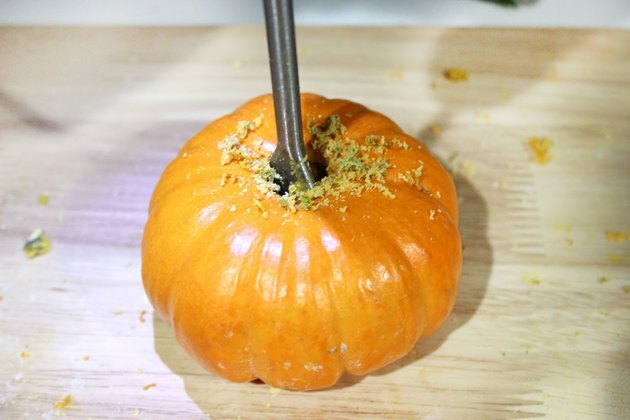 Drill a hole through the center of the mini pumpkin with the same drill bit. 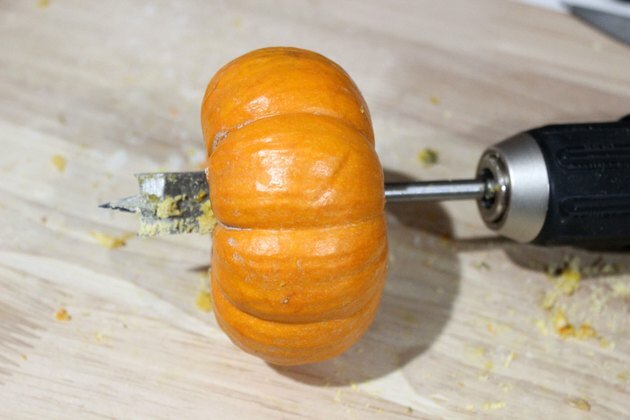 Keep drilling all the way through the pumpkin until the drill bit comes out the other end. Again, watch your fingers. Insert the candle into the top gourd (in our case, the mini pumpkin) until it goes through the bottom. If the candle is having trouble going in, run the drill through the hole again. Line up the mini pumpkin and the candle above the bottom gourd, and insert the candle through the hole. Push the candle down until it is snug. Gourds begin losing their freshness the moment you break the skin. To keep your candle holders fresh for as long as possible, keep them in the refrigerator when not using them. Never leave lit candles unattended, and keep them away from children. 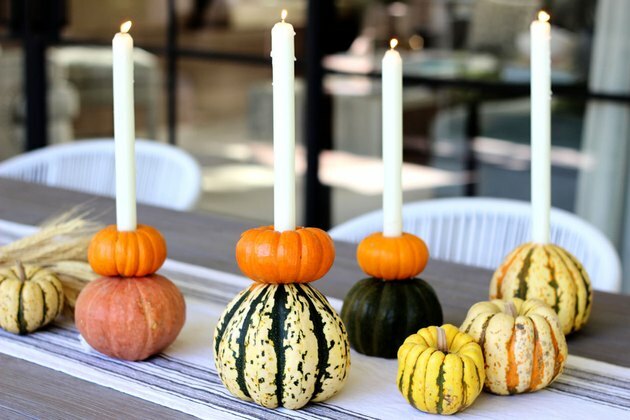 These gourd candle holders are so easy to assemble, you'll want to make several of them to adorn your table. And no, people will not think you're out of your gourd.